You're not going it alone in the next release in the Xbox first-party RPG franchise. You'll have friends questing along with you. Unless you're the bad guy, in which case you'll have enemies. 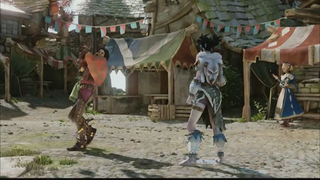 Fable Legends got its turn on the Xbox stage today, with a video that showcased multiplayer battles and a feature that lets a single player throw threats at the Albion heroes.